This court timeline template was built for trial presentations. It was designed to be used by lawyers and other legal professionals who need to present evidence clearly and without any complexity that could diminish a jury’s retention. 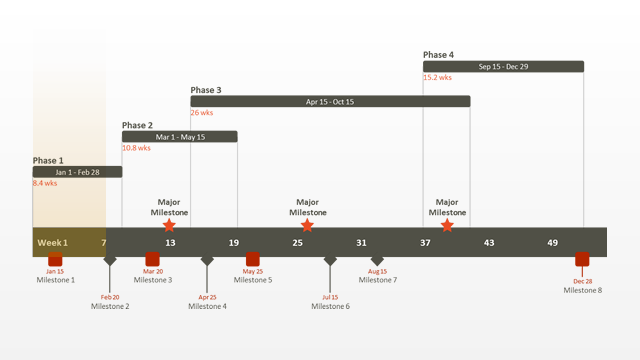 The court timeline template was created in PowerPoint and the colors, content and formatting can easily be edited on-the-fly so lawyers and legal teams can quickly create powerful courtroom visuals that impress judges, clients and jurors. Court timelines are critical in presenting a case’s vital facts chronologically. This free court case timeline template can be used at any point throughout a trial including opening arguments, witness examination or closing statements. 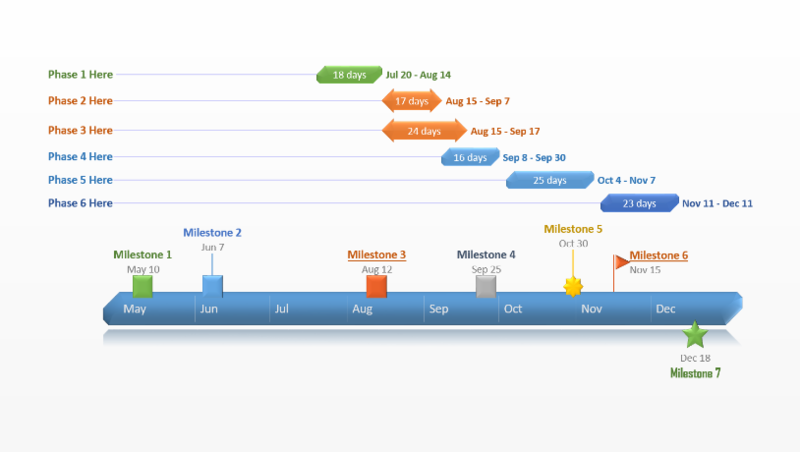 The court timeline is also useful beyond courtroom exhibits and can be used in depositions, client meetings or in briefings with your legal team. 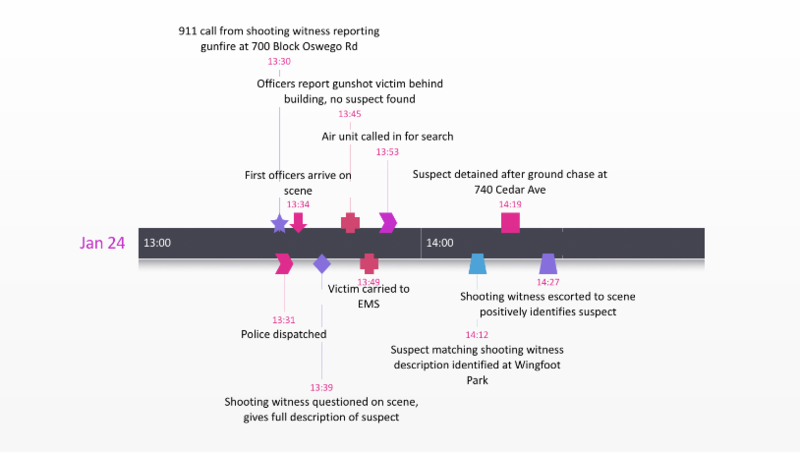 It provides lawyers a powerful way to turn numerous case facts into a simple, understandable PowerPoint timeline so all parties can visualize the timing of events in a case. The free court case timeline template is built natively in Microsoft PowerPoint, so it can be downloaded and edited in Microsoft Office, or it can be edited with the Office Timeline add-in for PowerPoint. 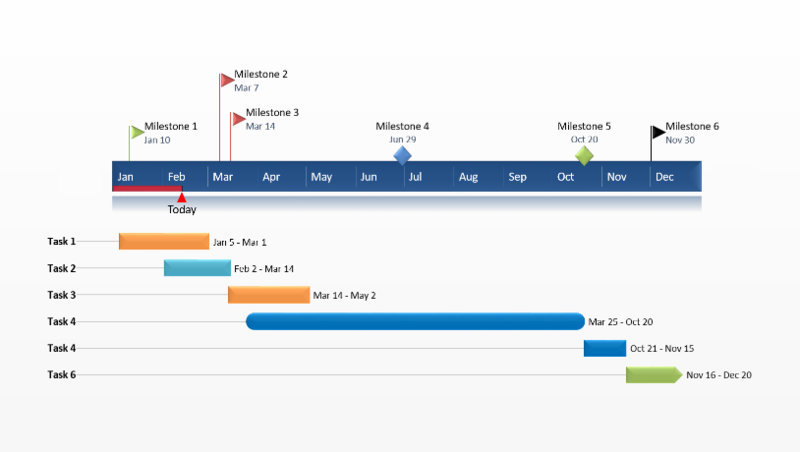 Office Timeline is a timeline maker for legal teams who need or want to prepare their own case timelines. 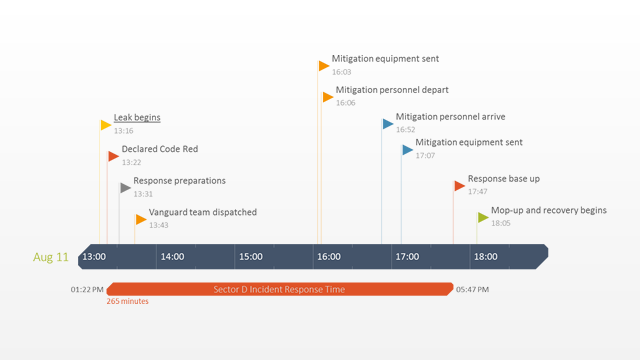 The tool adds a timeline ribbon to PowerPoint so lawyers and legal teams can now quickly create professional looking visuals in-house, rather than outsourcing their trial exhibits to graphic designers. It will automatically update this slide with your case’s information or you can create a new PowerPoint timeline in minutes. PowerPoint can create compelling and impressive courtroom visuals that make complicated case data simple and easy for jurors to understand. It provides a wide range of styling options so legal teams can customize and format court timelines with the colors, shapes, styles and themes that perfectly suite their clients’ needs or that fit the way the case will be presented. These formatting controls can be used manually or by using Office Timeline’s automation. Court case slides can now be updated and changed quickly without having to use complicated legal software or expensive graphic designers.